The first images of the upcoming Xiaomi Redmi Note 5 have been leaked, showcasing an 18:9 display for the first time on a Redmi Note smartphone. The leaked images also reveal a metal unibody design and a dual camera setup on the back. We reported about leaks on Weibo showcasing the Xiaomi Redmi Note 5 with a 5.5-inch display, dual cameras and a Mediatek Helio P25 processor. Later, we also found out that the Redmi Note 5 will also come with a Qualcomm Snapdragon 660 processor and fast charging. Earlier leaks revealed that the Redmi Note 5 is expected to come with a 5.5-inch Full HD resolution display, but today’s leaked images suggest that it will come with an 18:9 aspect ratio, which hints at a Full HD+ resolution display. 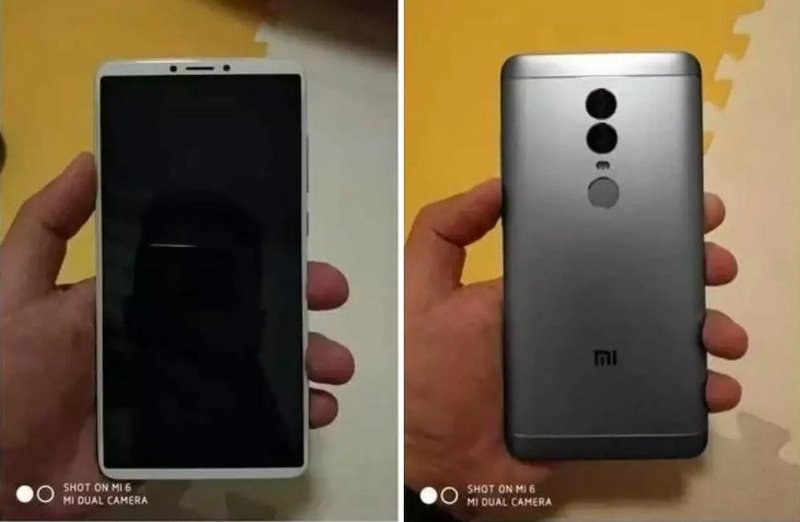 In terms of the cameras, the leaked images of the Redmi Note 5 point at a dual rear camera setup – earlier leaks suggest that it will be a 16MP + 5MP lens combination, with dual LED flash. It will come with a 12MP front-facing camera for selfies and video calling. Previous leaks pointed at two variants of the Redmi Note 5 – one with a Snapdragon 660 processor and another with a Mediatek Helio P25 processor. The Snapdragon variant will possibly be launched in India, while the Mediatek variant will be launched in China. In terms of memory, the phone is expected to come with two options – 3GB RAM and 32GB storage, and 4GB RAM with 64GB storage. As per earlier leaks, the Xiaomi Redmi Note 5 is expected to run Android 7.1 Nougat with MIUI 9 on top. Leaked specs also suggest that the Redmi Note 5 will come with a 4,000 mAh battery with fast charging capabilities (5V3A). Standard connectivity options include Dual SIM, Bluetooth, WiFi, 3.5mm headphone jack, Infrared sensor and a microUSB port. According to early leaks, the Xiaomi Redmi Note 5 is speculated to be priced at 999 Yuan (Roughly Rs. 9700) for the 3GB + 32GB model, and 1,299 Yuan (Roughly Rs. 12,700) for the 4GB + 64GB variant.